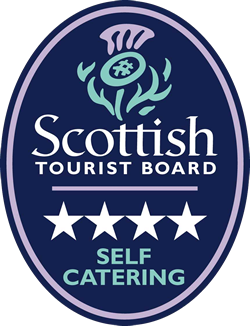 Thinking about a self-catering holiday in South West Scotland? Thinking about a self-catering holiday in South West Scotland? Where better to spend your break than in the captivating fishing village of Portpatrick on the Rhins of Galloway. Imagine waking up to the breathtaking views of Portpatrick Harbour. How about a cliff-top walk in an unspoilt part of South West Scotland? Harbourside is a three bedroom self-catering holiday cottage (sleeping up to six people) which directly overlooks the picturesque harbour at Portpatrick. With luxuriously appointed holiday accommodation, stunning views and a wealth of things to see and do, this is the perfect holiday destination for couples, families and groups of friends. You can also bring your pet. Portpatrick is one of the gems in South West Scotland’s crown. Nestled on the west coast of the Rhins of Galloway, the climate’s mild and the scenery spectacular. 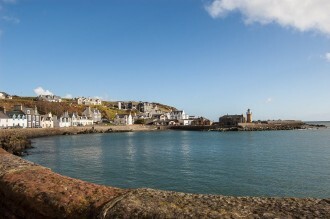 The fishing village of Portpatrick has pubs, fabulous restaurants and is the perfect holiday destination if you want a ‘get away from it all’ break. From Portpatrick you can explore the many beautiful beaches and coves the Rhins of Galloway is so famous for. There’s an abundance of wildlife including deer and red squirrels, and it’s a bird watchers paradise. If you enjoy walking or cycling, Portpatrick marks the end of the 212 mile Southern Upland Way. 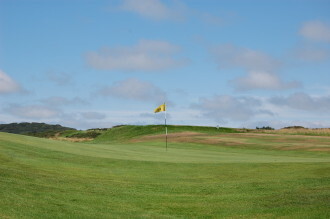 If you’re a golfer, why not enjoy a few rounds on Portpatrick Golf Course? A fifteen mile drive through unspoilt countryside will take you to Cairnryan and the short ferry hop across to Ireland. The town of Stranraer is just seven miles away and served by good public transport links. The Gulf Stream is responsible for South West Scotland’s temperate climate. If you thought Scotland was cold, visit the Logan Botanic Garden and you might be surprised to find an exotic array of tropical plants! Don’t waste your holiday in supermarkets! Both Asda and Tesco deliver to Portpatrick if you need to stock up. Stuck for the perfect gift for the person who has everything? Treat them to a holiday voucher towards their holiday or weekend break at Harbourside. Get in touch for details. We truly loved this house and all it's contents and I can only reiterate what other reviewers have already said. Welcome pack excellent, fresh flowers very pleasing and the standard of cleanliness is impeccable not to mention the quality of furnishings and appliances. Neil and Patricia have got it right and when I return to Portpatrick I will not even consider looking elsewhere as this house is perfect in every way. Can't wait to return just wish it was around the corner but certainly worth the journey from Wakefield. Thank you Neil and Patricia , will deffinately return !!!!! Having visited Portpatrick for the last 40 years on and off and this house is perfect. We have stayed in many houses and this is the best. Location and views are perfect. The house has everything you will need for 2 nights or longer. 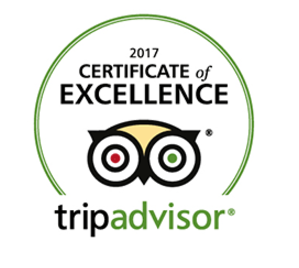 Warm and comfortable with great beds, pillows and very clean. Thank you, we will return in the future! As its name suggests, Harbourside holiday cottage overlooks Portpatrick Harbour. With a history that spans several hundred years, today Portpatrick Harbour has a small fleet of fishing boats and is popular with the sailing community. 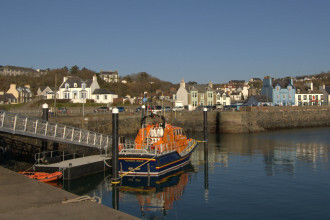 Portpatrick’s ‘Explore’ lifeboat station is one of the village’s most popular attractions and a great source of pride to the local community. An all-weather lifeboat has been based in the village since the late 1800s and its crew have been honoured with five gallantry awards. As an ‘Explore’ lifeboat station, you can go inside the Portpatrick station, see the lifeboat, and tours can be pre-booked. Although we hope the lifeboat isn’t called out during your holiday in Portpatrick, there’s a good chance you’ll see the crew go through their paces on training exercises. Portpatrick is a holiday hot-spot all year round. Even if you have a winter break in Harbourside holiday cottage, you’ll be snug and warm. The cottage is eco-friendly with central heating run on biomass wood pellet fuel. To add to the warmth and atmosphere, there are also two wood-burning stoves. So when you holiday in the Harbourside self-catering cottage, you can be sure you’ll make the minimum impact with your carbon footprint. You can check availability and book your holiday in Portpatrick right now. If you’d like any more information or have any additional requirements, just get in touch. The phone number is 07714 099382 or you can email Portpatrick Harbourside Cottage on n.picken@btconnect.com . We’re looking forward to welcoming you to Harbourside. 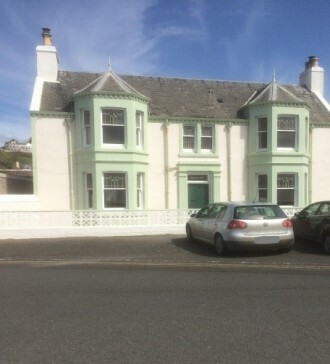 Address: 3 North Crescent, Portpatrick, Stranraer, DG9 8SX.